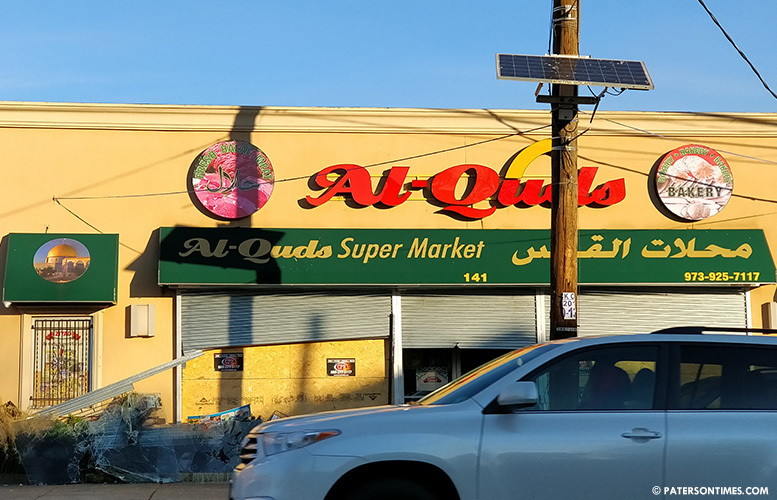 A fire severely damaged a large building in South Paterson that houses a supermarket and restaurant on Monday night, according to deputy fire chief William Henderson. Firefighters saw heavy smoke coming out of 141 Crooks Avenue at 9:35 p.m. and had to force through roll down doors to get into the building to extinguish the flames. Fire reached second-alarm, said the deputy chief. He said there were no reported injuries. Fire was put out at the large one-story supermarket and the attached restaurant by 11:23 p.m.
Utilities to the building have been cut. Both restaurant and supermarket were closed on Tuesday morning.